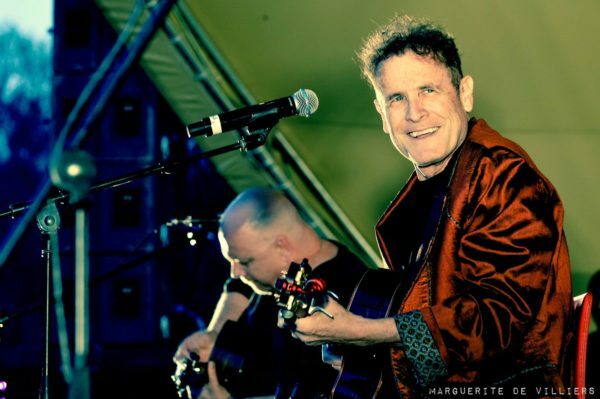 Beloved local musician Johnny Clegg poured his heart out on Facebook on Wednesday, detailing his ongoing struggle with cancer. 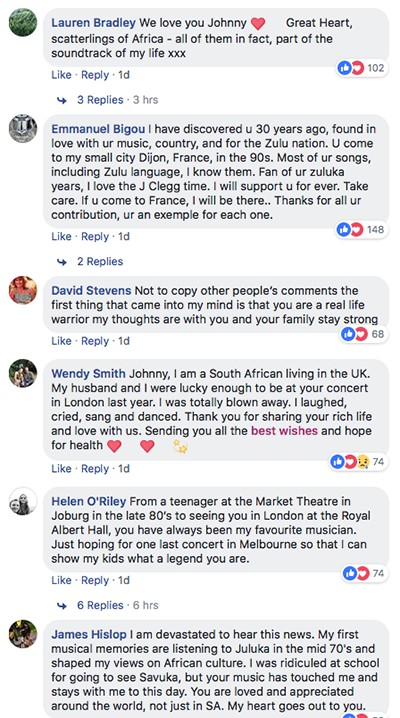 He received thousands of messages wishing him good health from South Africans and international fans. 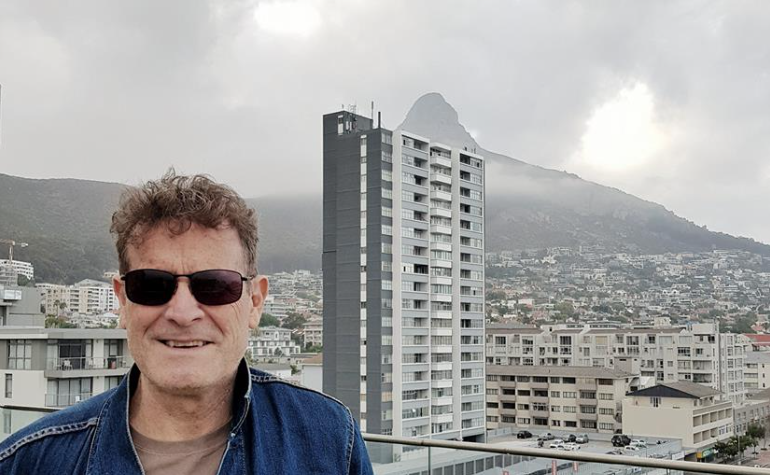 In 2015, Clegg was diagnosed with stage 2 pancreatic cancer, he was admitted to hospital to undergo a seven hour Whipple operation to remove half of his pancreas, gall bladder, bile duct, duodenum and stomach. Six weeks after this procedure he began a six months chemotherapy regimen and in November 2015 he went into remission. The renowned musician continued belting out the tunes, only to have the cancer re-emerge in August 2016. He had to continue with another six months of chemo. Clegg went into remission again in February 2017. At this point, he began to deeply consider his family, career and what the future would hold for him. It was at this time that he reached a decision to do one “Final Journey” and say “farewell” to his public supporters while he was still mentally and physically able. 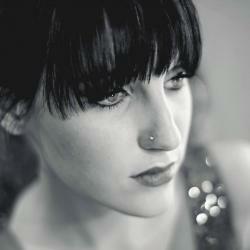 “It was hard to tell what the future held for me health wise. It was decided to do a world – wide Final Journey tour to say farewell to my public supporters,” he said. His last journey started in South Africa, then London and Dubai but during the USA and Canadian leg of the tour in October 2017, the cancer re-emerged with a far higher tumour count and doctors discovered lesions on his lungs. The cancer moved from stage 2 to stage 4. 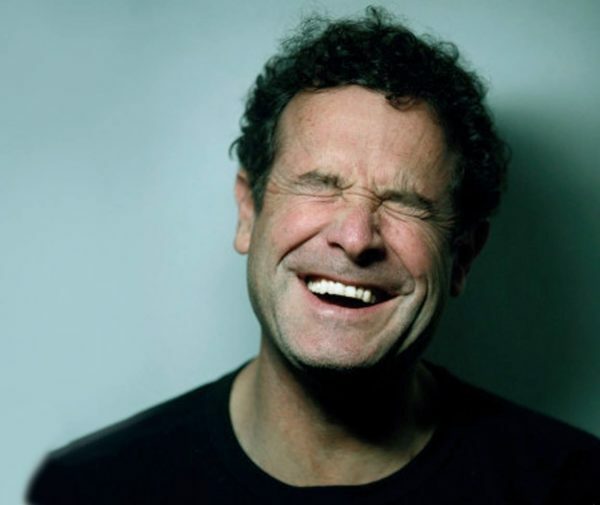 Clegg’s final journey was cut short, forcing him to undergo tests and go back on chemo without visiting France, Switzerland, Australia, Zimbabwe, and Mauritius. Just three weeks ago his third 6 month chemotherapy cycle finished. “One small lesion in the right upper lung is still slightly active and it will probably have to be removed by radiation treatment. I expect this to be an ongoing challenge. “It has been an incredible journey with incalculable support from my wife Jenny and my sons Jesse and Jaron, as well as extended family, management, friends, musicians, colleagues, oncologists and fans,” he said. Clegg has announced that his Final Journey will pick up where it left off, starting with Mauritius and then Zimbabwe. France and other areas will be revisited in 2019 once further prognosis related to the singer’s lungs are completed. The good news is his new album, King of Time, will be released in France in September where he will also visit for promotion.